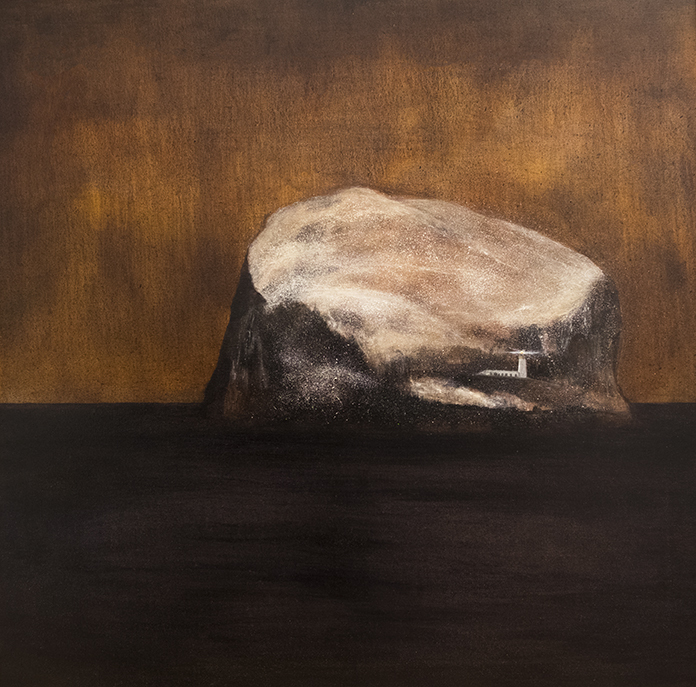 Next week sees the return of ArTay, an exhibition featuring over 60 artists and more than 300 works of art curated and hosted by Frames Gallery, Perth. 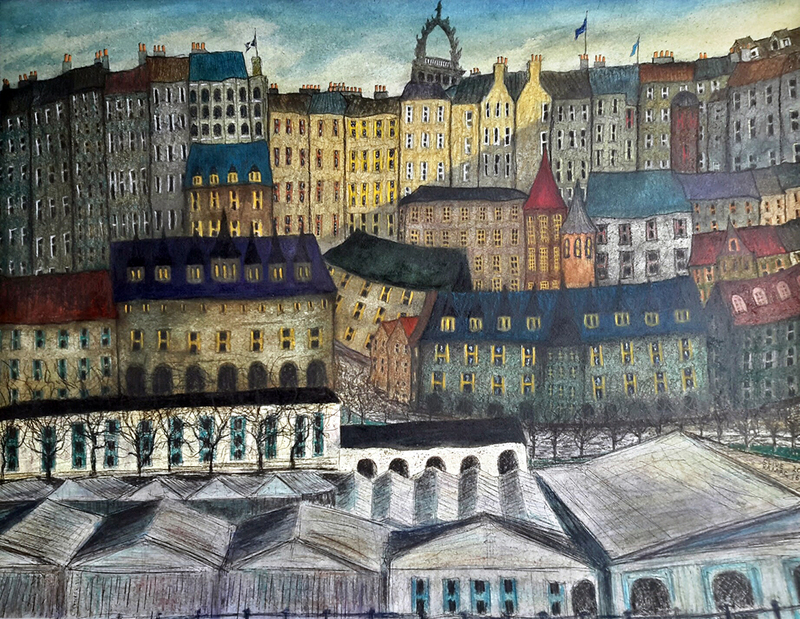 The event is part of The Perth Festival of The Arts and runs from 17th- 20th May in a marquee beside the Perth Concert Hall. As well as the painting above, I will be showing the 3 pictures included below, all of which are for sale. I also currently have work for sale at Green Gallery in the lovely Clackmannashire village of Dollar, including the paintings shown below. It’s a lovely place and Dollar and Castle Campbell on the hill above it are well worth a visit on a sunny day. 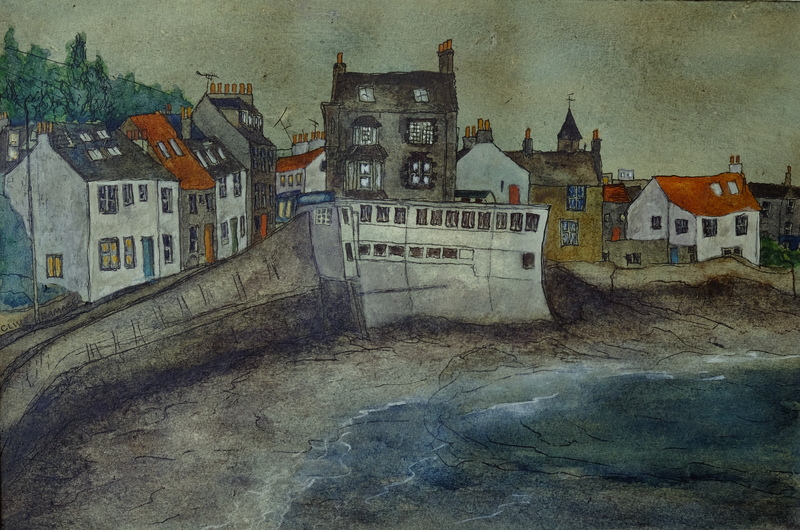 This entry was posted in New Work and tagged aberdour, Art, artist, artsy, atmospheric, Bass Rock, boats, Cellardyke, Clive Ramage, Clive Ramage Art, colourist, dollar, Edinburgh, Edinburgh Old Town, etching, Fife, fine art, Frames Gallery, green gallery, landscape art, lighthouse, lighthouses, oil painting, painting, Perth festival of the arts, print, Scotland, Scottish art, scottish colourist, seascape, South Queensferry, st moans, watercolour on 8th May 2018 by Clive. 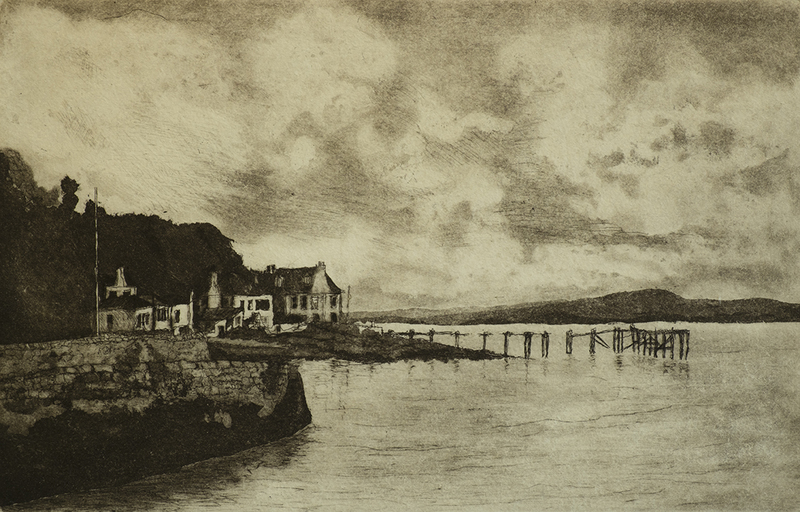 The past few weeks have been extremely busy what with deadlines for various exhibitions, including those organised by the RSA, the SSA, the National Original Print Exhibition and the International Print Biennial. 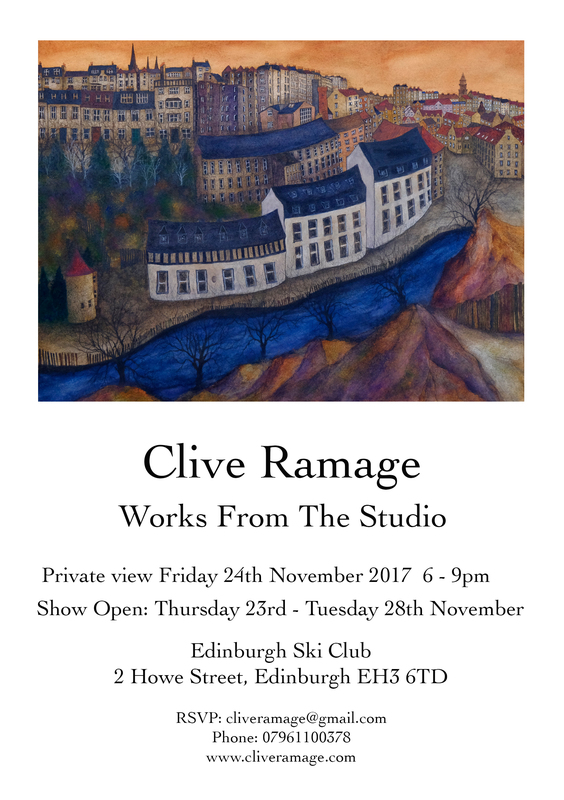 On top of that, my work has been included in 2 exhibitions in support of Maggies Cancer Care and the St Columbas Hospice in Edinburgh. I was delighted to have sold 4 large works in these, raising over £1500 in the process to share between these two deserving causes. 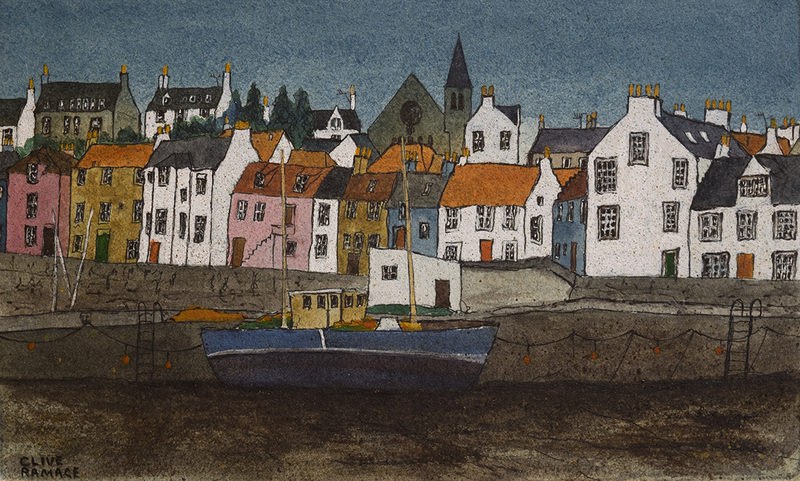 I’ll also be working on the latest Dean Village hand-painted etching this week, which will be a blue and gold night time version (similar colours to that East Neuk etching mentioned above). This will be the 4th one of the 10 of these I have planned. I’m excited to see how this one and the 6 others will turn out. Watch this space as I’ll post updates here of how they are progressing. 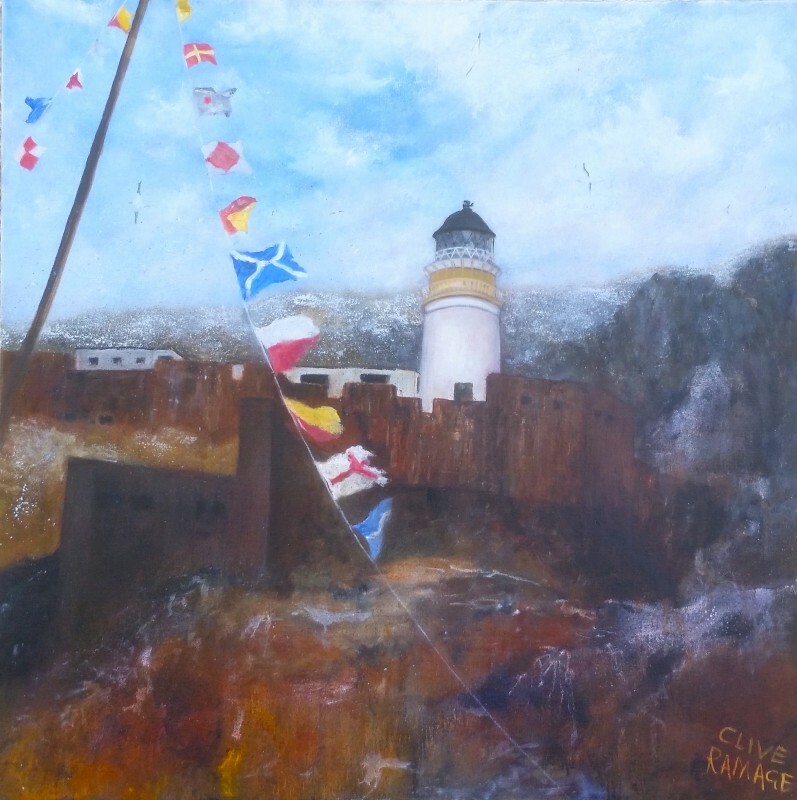 This entry was posted in New Work and tagged Anstruther, Art, artist, atmospheric, Bass Rock, Bass Rock painting, boats, cancer care, Cellardyke, charity, Clive Ramage, Dean Village, Dunfermline, east lothian, East Neuk, Edinburgh, Edinburgh art, Edinburgh Art Fair, etching, exhibition, Fife, fine art, Fire Station Creative, Frames Gallery, Gallery, gold, gold leaf, Heinzel, landscape, lighthouse, lighthouses, lothians, Maggies, Morningside, Morningside Gallery, oil painting, printmaking, RSA, Scotland, Scottish art, seascape, SSA, St Columbas Hospice, watercolour on 26th June 2016 by Clive.